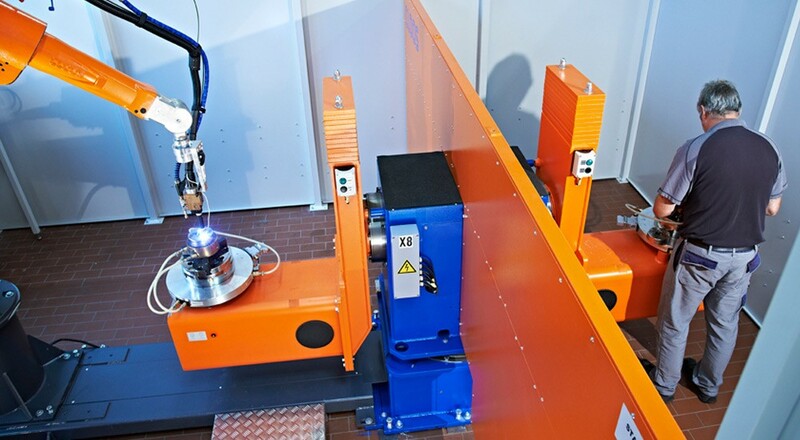 On an enclosed surface of 5600 x 4400 mm a double station workpiece positioner for a horizontal rotation is placed in the middle. 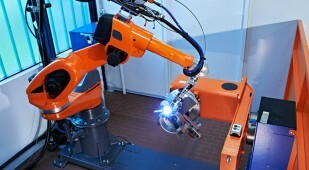 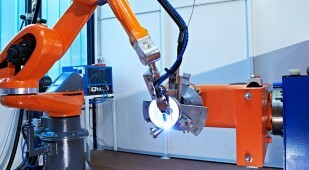 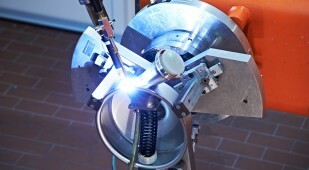 Whilst the robot welds in one station, the operator removes the readily welded workpiece from station 2 and inserts a new one. 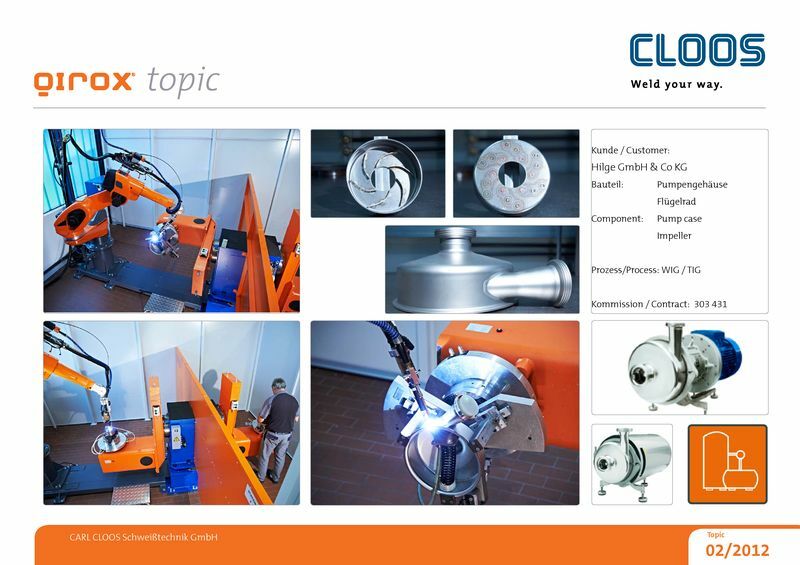 Both stations have a swivelling and turning axis to perfectly place the pump components external housing, impellers and suction connections for the QIROX robot 350E.